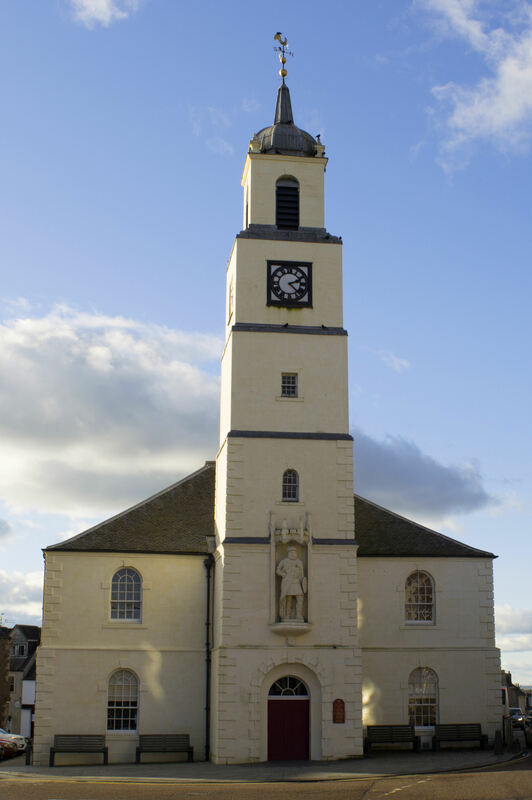 The Church building plays a huge part in the civic life of Lanark as it is the centre point for the Lanimer Week celebrations in June and is easily recognised from the impressive statue of Willian Wallace which looks out over the High Street from above the Church door. Inside the church there are many other architectural features and items of interest. Major restoration work was carried out within the Church in 1994/5, with a substantial part of the cost having been raised directly by the church congregation, an achievement of which we are justifiably proud. St Nicholas is home to a large and lively congregation and forms the focal point for the community. The annual service to ‘Kirk’ the Lord Cornet elect is the first event of each Lanimer Week, and each year&apos;s Lanimer Queen is crowned high on a dais under the watchful eye of ‘The Wallace’. 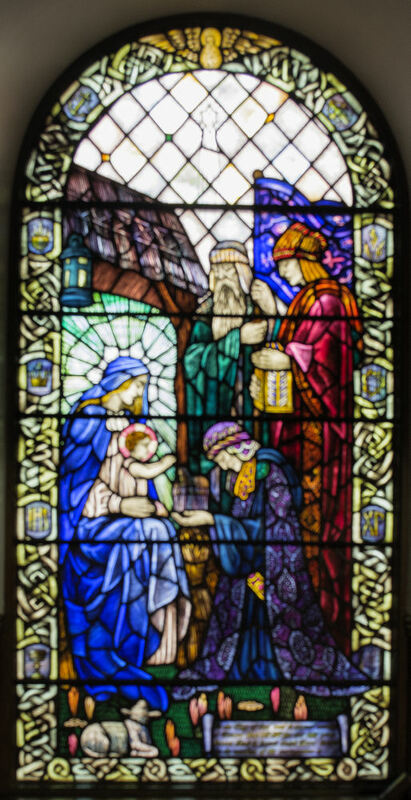 The church also houses the annual ecumenical ‘Sing a Song for Christmas’ in alternate years, as well as services involving Lanark Grammar and Lanark Primary Schools. 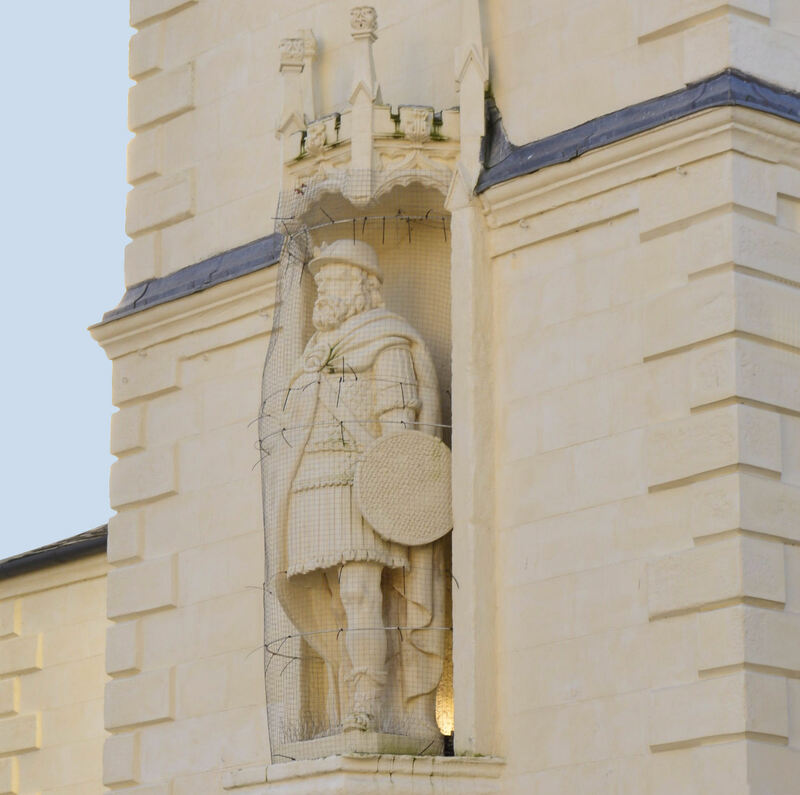 The statue of William Wallace which stands in a niche above the front door was made by Robert Forrest of Carluke and presented to the town in 1882. Wallace had very strong connections with Lanark. He married Marion Braidfute in the Old St Kentigern&apos;s and his assassination of the English governor in Lanark Castle in 1297 sparked off the struggle for Scottish independence. The main beams of St. Nicholas Church are remarkable for their unbroken span. The whole of the roof was re-instated and re-leaded as part of the 1994/95 restoration. 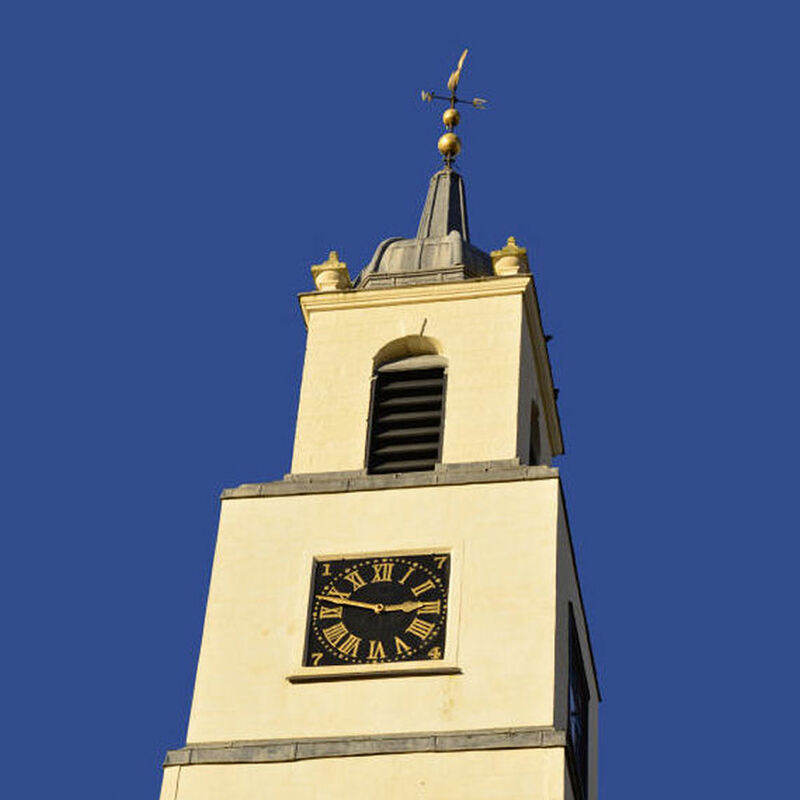 There are two bells at St. Nicholas. The larger one was originally from the Old Church of St. Kentigerns, and is believed to date from 1110 and is one of the oldest bells in Europe. It is thought that William Wallace would have listened to the same church bell when he attended St. Kentigerns in 1296. 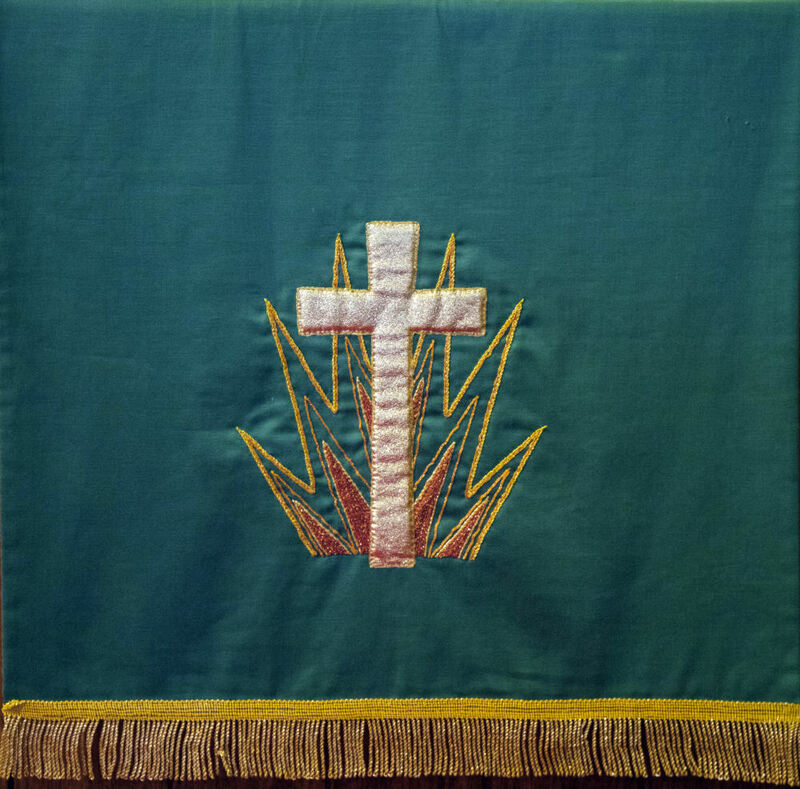 The pulpit fall, table runners and book markers are part of a sequence of such sets, each used at a particular time in the church&apos;s calendar and each designed and embroidered by dedicated teams of members as part of the process of restoration which took place in 1994/95. 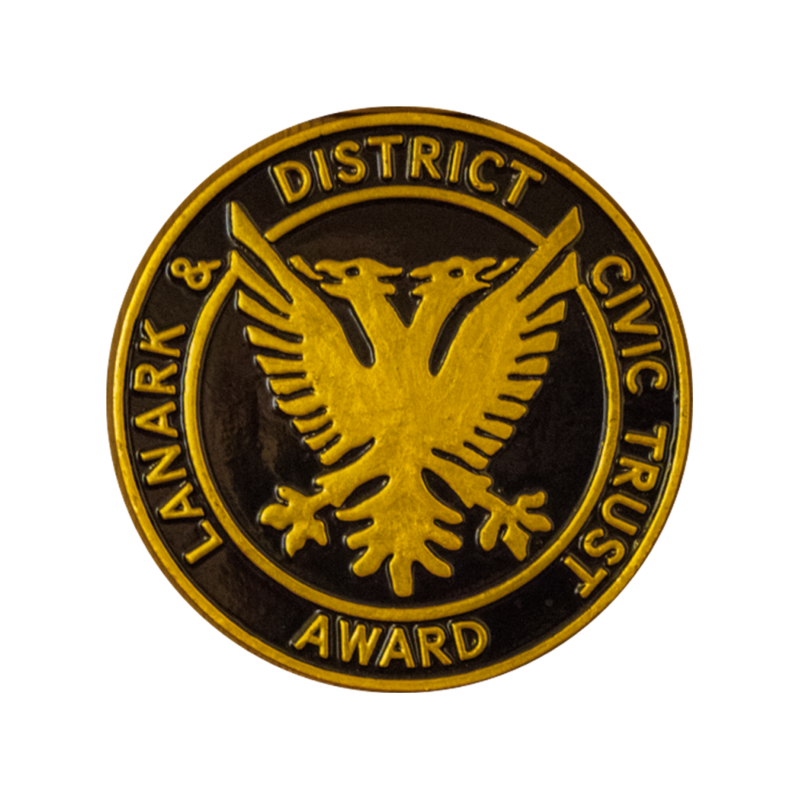 The local branch of the Civic Trust annually presents the Neil Sinclair award to the project which, in their opinion, has done most to improve the environment and, for 1996, the award came to St Nicholas for the improvement to the interior of the church. The black and gold plaque records this event. 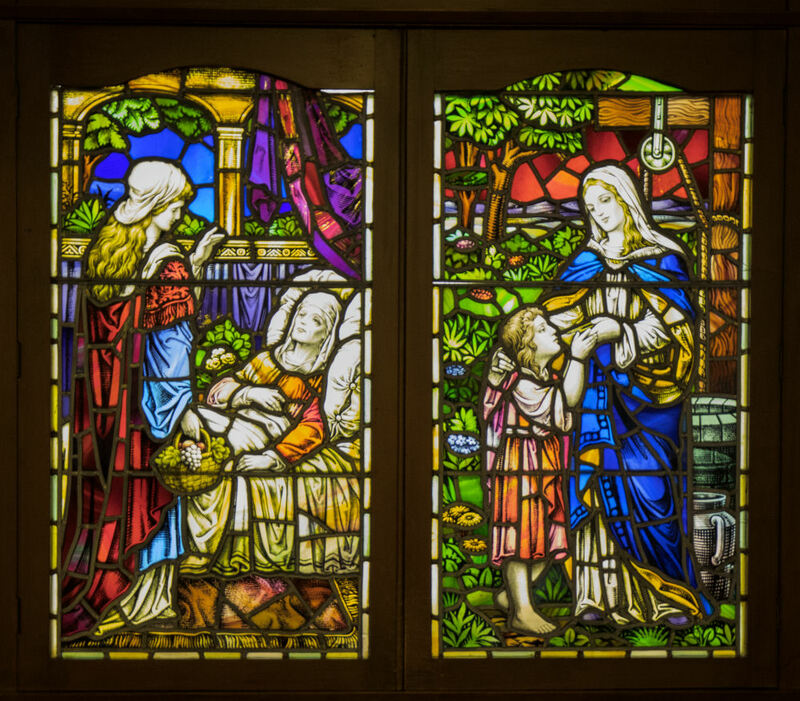 We have some very fine stained glass from Victorian times onwards, including an excellent example of modern glass in the Bicentenary window of 1974, shown below. This shows the figure of St Nicholas, the arms of the Royal Burgh and mounted figures of Burgh Standard-bearers past and present. The stand-bearer, or Lord Cornet, is still elected annually and is closely associated with the local summer celebrations of the Lanimers, based on the yearly inspection of the stones, marking the boundaries of the Royal Burgh. The area set apart by gilded rails serves as a small chapel which is used for midweek services and on other special occasions. In a glass-topped case is the Yvetot Bible, presented by the People of Yvetot in Normandy, one of the area&apos;s twin towns. 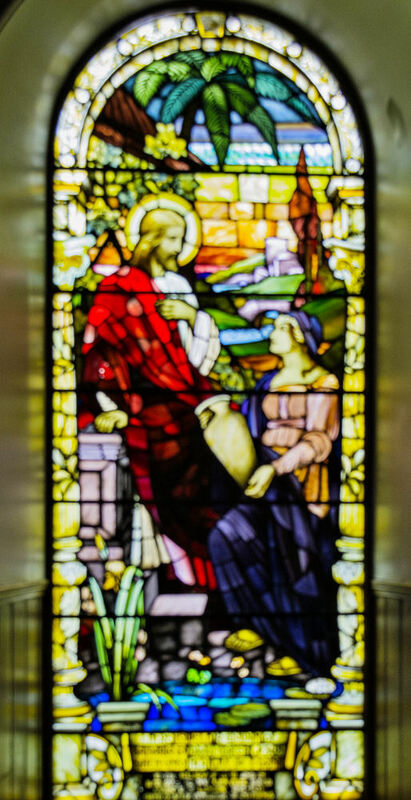 At the rear of the chapel there are two artificially lit stained glass panels which came from the Mission Church at New Lanark when it ceased to be used for worship in 1971. 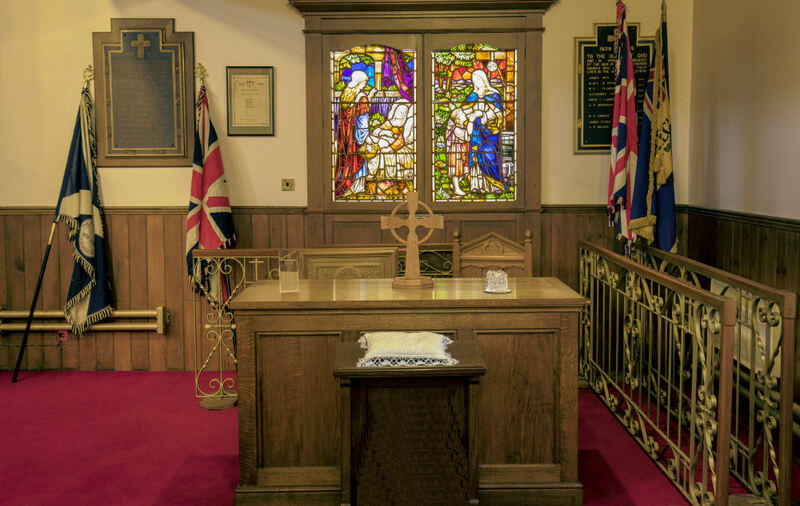 The Minister&apos;s chair and communion table have both been gifted and come from the former St Kentigern&apos;s Church in Hope Street. Also in this area is the framed document from the Scottish Lyon Court confirming the detail of the grant of arms to St Nicholas in 1995. 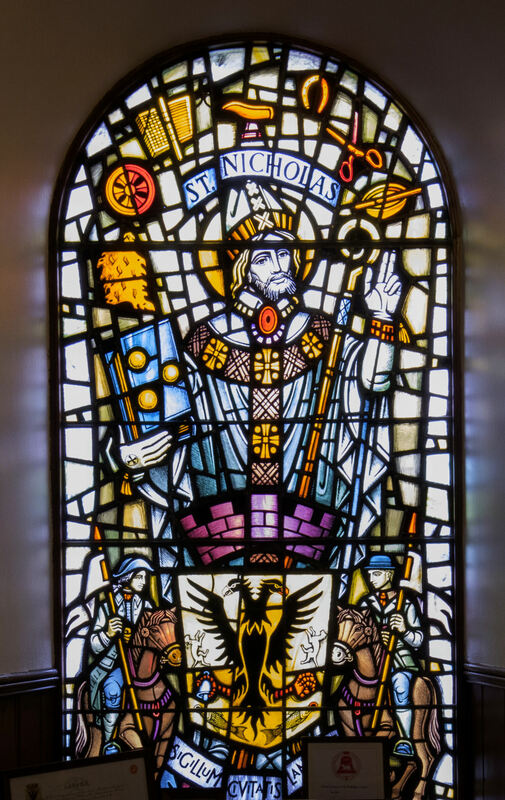 In heraldic language, this describes St Nicholas with his symbolic bag of gold, The Bible, the Royal Burgh&apos;s two-headed eagle and the symbols of the mediaeval church, mainly St Michael (the sword), St Catherine (the wheel), the Virgin Mary (the lily) and the Holy Blood. The impressive church organ with its golden pipes, takes pride of place at the front of the church at St. Nicholas. 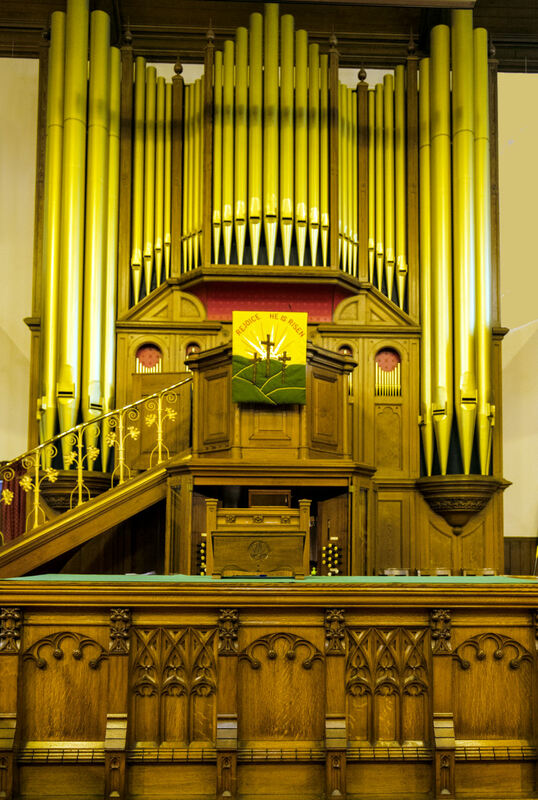 The organ was originally built by Foster and Andrews of Hull, and was installed in 1892. The instrument was completely rebuilt and its action reinstated to its original specification as part of the 1994/95 church restoration.